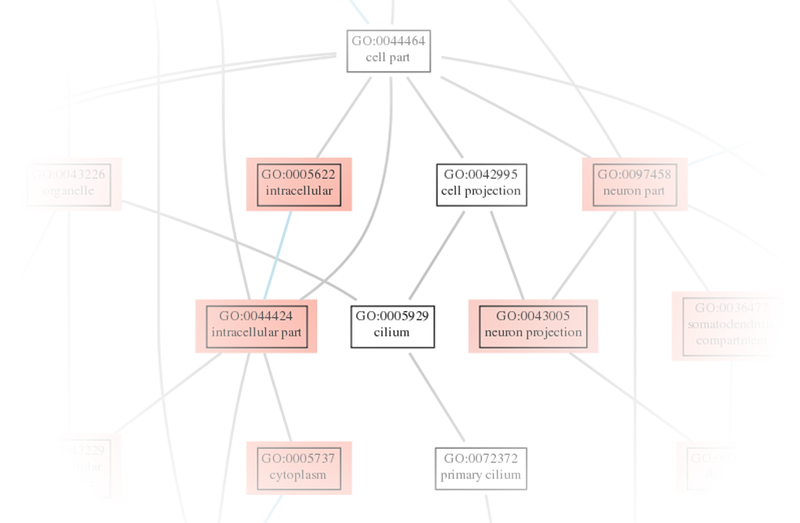 Is there a suitable reference genome? Experimental setup (replicates and conditions, input control)? 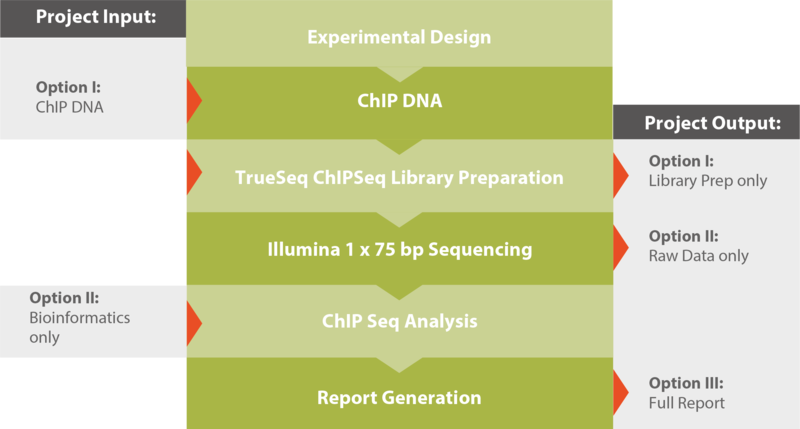 A typical workflow for a ChIP sequencing project is shown in the graphic below. Please note that our highly-modular processes allow you various entry and opting out options. If you outsource your entire NGS project to Microsynth or only parts of it is up to you. For further reading and a detailed technical description, please download our Application Note ChIP Seq (see related downloads). The results produced by our analysis module help answer three main questions of a ChIP sequencing experiment aiming for instance to find novel patterns of gene regulation. Table 1: Details of a results table listing information on the peaks found. Extensive annotation is also provided to help identify important features. Figure 1: This figure depicts a possible regulatory motif. Figure 2: A pathway enrichment analysis is conducted using the peaks found in the experiment. Detailed information on our ChIP sequencing service.